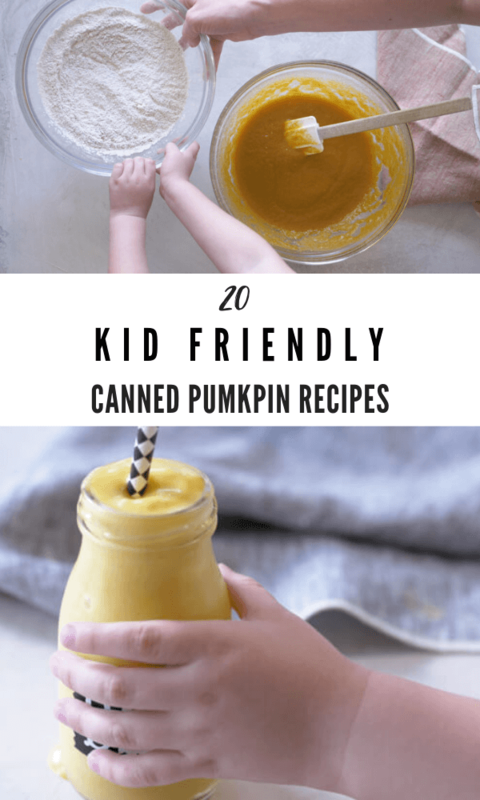 This Kid Friendly Canned Pumpkin Recipes post is sponsored by Cans Get You Cooking. 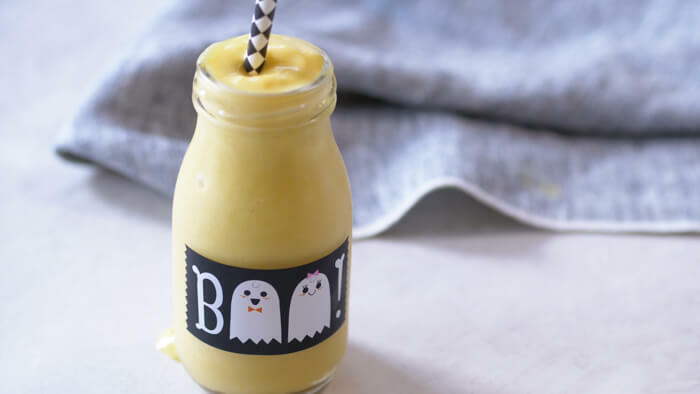 20 kid friendly canned pumpkin recipes… say what? Yep I’m as excited as you are about all-things-pumpkin. It can be a challenging task to ensure your little ones are getting the nutrition they need. 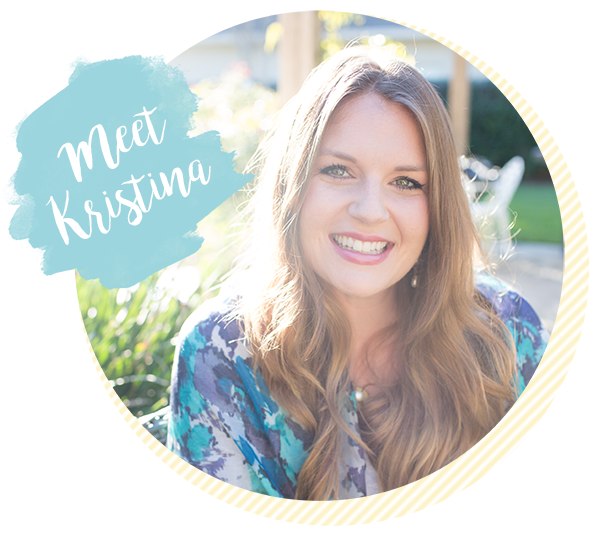 As a millennial mom, there is an overload of information about what you “should be” feeding your toddler. Typing one phrase into Google can yield thousands of results and decision making becomes even harder. 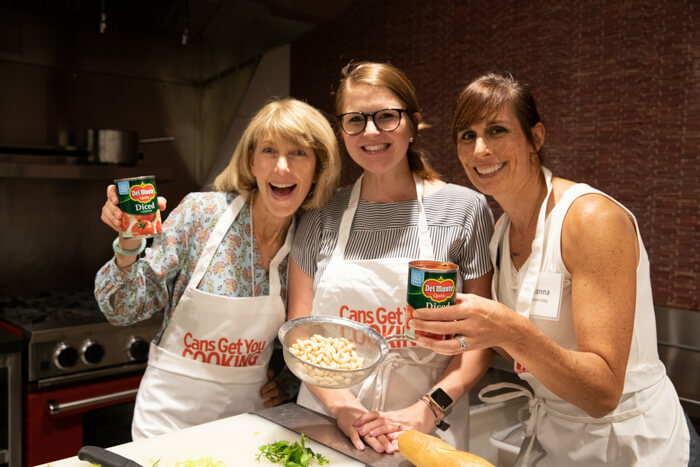 I recently attended a culinary workshop in New York City, sponsored by the Cans Get You Cooking program, a campaign affiliated with the Can Manufacturers Institute. I learned a ton about canned foods – from the history of the canning process to the many nutrition benefits of cans to sustainability and food waste facts. Did you know that steel cans are infinitely recyclable? After the workshop, I was inspired to put my newfound knowledge to use and have rounded up my favorite Kid Friendly Canned Pumpkin Recipes. With two kiddos in the house, there is a lot of meal “enhancing” thanks to fruit and veggie purees, and we rely on canned foods like 100% pure canned pumpkin to help my boys in the veggie department. Did you know that a well-stocked pantry of canned fruits and vegetables can help you serve up the recommended 42 cups of fruit and 53 cups of vegetables a family of four needs every week?! In fact, research shows that kids and adults who used six+ canned foods per week are more likely to have diets higher in 17 essential nutrients, including potassium, calcium and fiber. Another bonus is that there are so many different types of canned fruits and vegetables to choose from! With fall in full swing, canned pumpkin has made its debut in the kitchen. It is packed with nutrients such as vitamins A, C, and potassium that can help your toddler grow and strengthen their immune system. 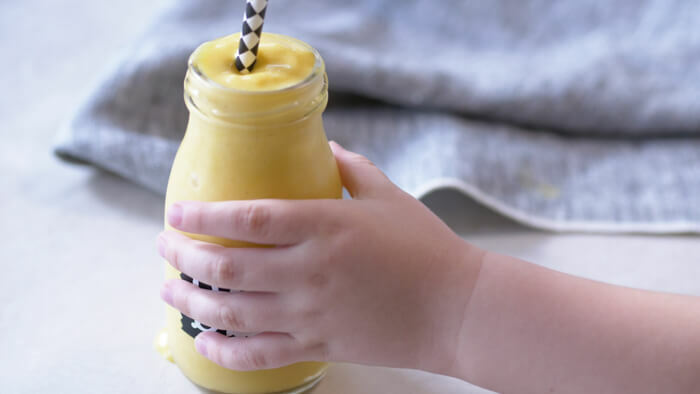 It’s also incredibly versatile so there are a number of ways to boost your nutrition game and incorporate canned pumpkin into your toddler’s meals – whether in smoothies, sauces, soups, bars, spreads, dips, and breads. 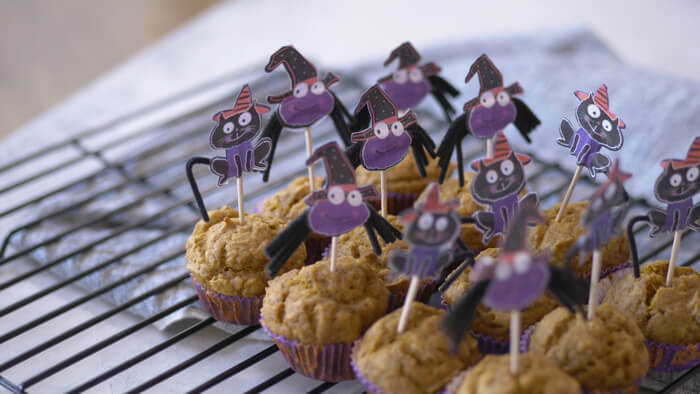 Give one of these kid friendly canned pumpkin recipes a try! 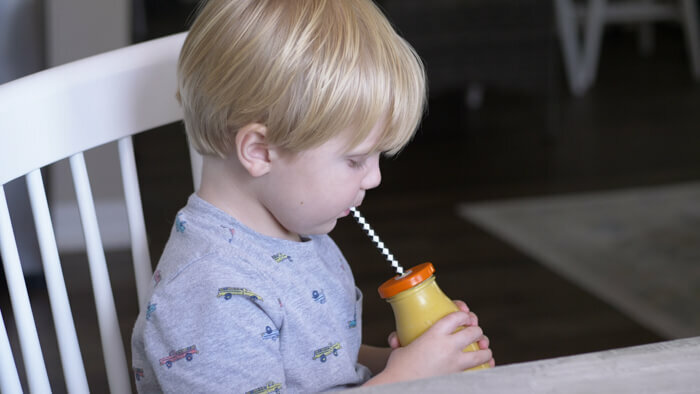 Mix things up a bit with your toddlers favorite fruit or veggie smoothie by adding some canned pumpkin! Better yet, try a pumpkin flavored smoothie! 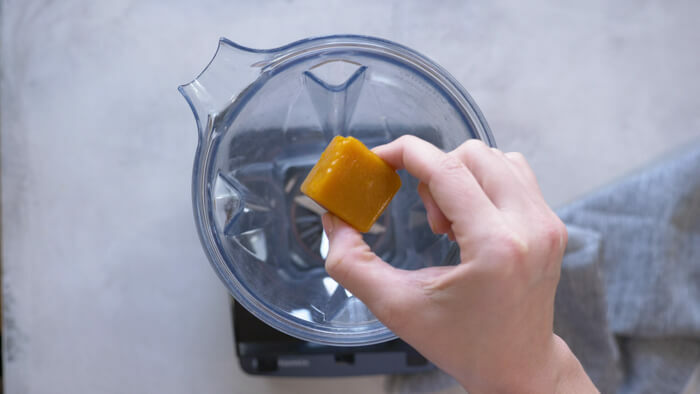 Toss a few simple ingredients like frozen fruit, canned pumpkin, and kefir into the blender to make a tasty frozen treat perfect for breakfast or snack-time. 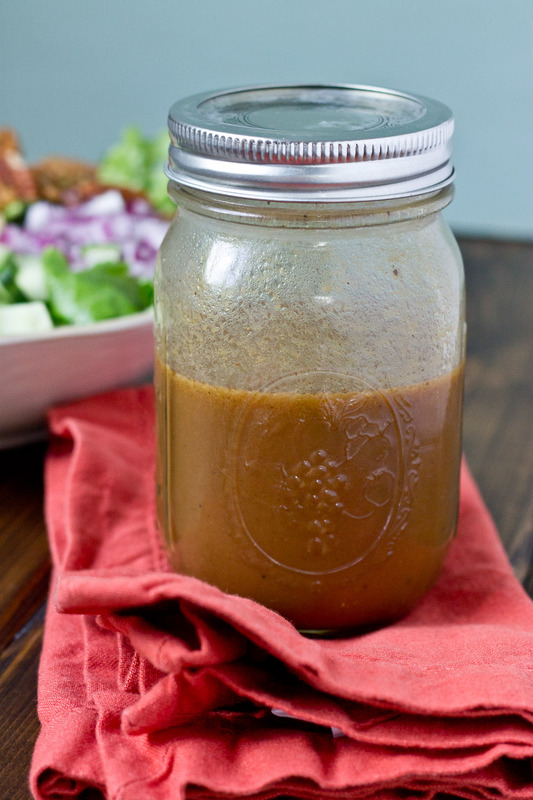 Canned pumpkin is a convenient add in to sauces for a nutrition boost. 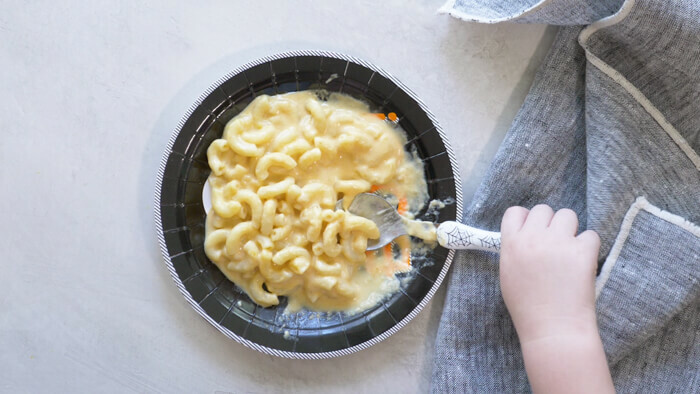 If your toddler is already enjoying foods like pasta, pumpkin can add nutritional benefits to their favorite pasta dish. Add canned pumpkin to your stovetop mac n cheese, blend it into a cream sauce and serve over linguine, or stir it into a meaty bolognese. Fall is the perfect time to whip up a hearty bowl of yummy soup, especially chili. It’s such an easy meal to assemble as a busy mama. Add a few spoonfuls of canned pumpkin to your next batch of chili and you’ve got the perfect combo! A grab-and-go snack that is healthy and simple to make is music to a mama’s ears! 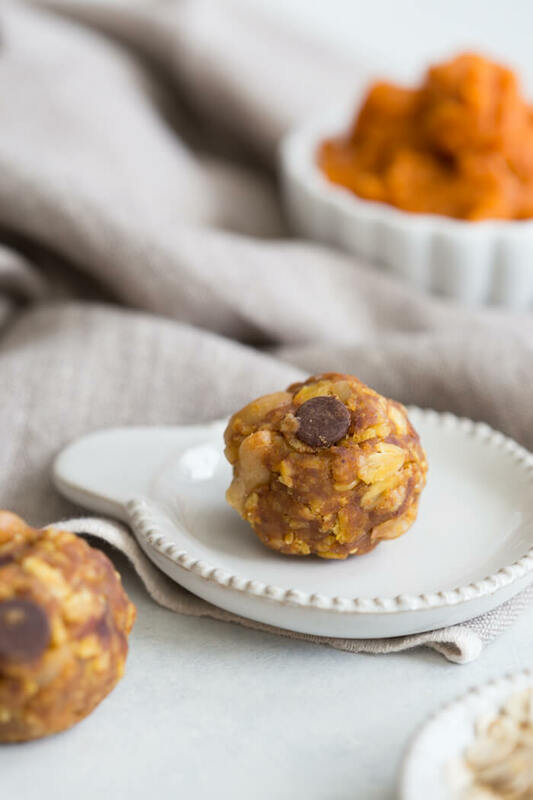 A blend of canned pumpkin, oats, dates, flaxseed, cashews, and chocolate; a great recipe that your toddler is sure to love! My son calls these pumpkin power balls “cookies”! There are so many variations when it comes to quesadillas– anything with cheese is a win in our house. Combine canned pumpkin with a few spices and spread it onto a tortilla with shredded chicken or beans and cheese for a fast and delicious lunch or dinner. 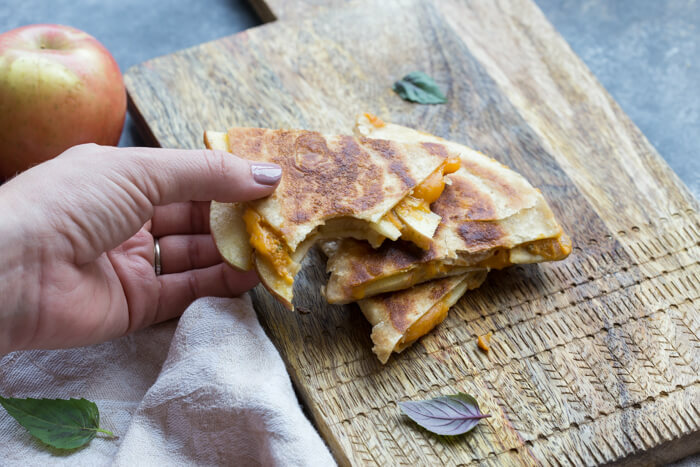 We even like to add apple slices to our pumpkin quesadillas for a sweet and savory kid favorite quesadilla. Mamas, this is such a simple and nutritious meal that tastes like fall and is likely to become a go-to weeknight dinner! 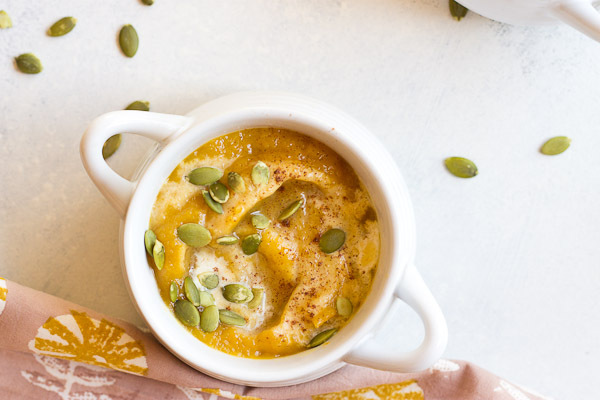 Combine canned pumpkin with some yogurt and peanut butter (powder or jarred) to make delicious and nutritious Pumpkin PB Yogurt Dip. This tasty dip can be paired with your toddler’s favorite fruits and/or veggies – strawberries, apple slices, and even carrots. This dip can also be eaten by itself for your teething and/or weaning toddler! 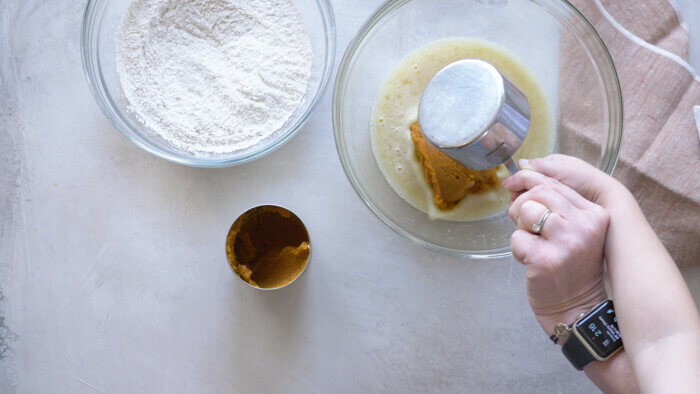 Is there anything better than adding canned pumpkin to your favorite baking recipe? It not only boosts the flavor but the nutrient content too. 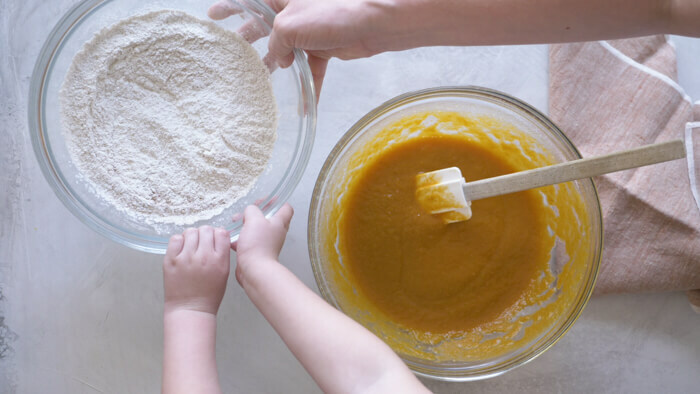 Adding some canned pumpkin to pancakes, waffles, oatmeal, and muffins is another simple way to ensure your toddler is getting the most nutrients from food as possible. 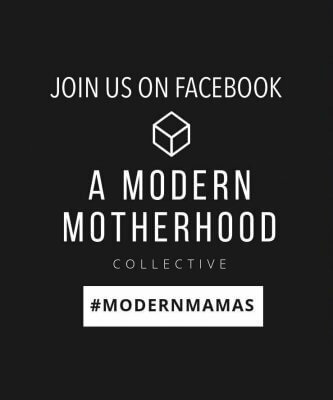 Sounds like a mama win! 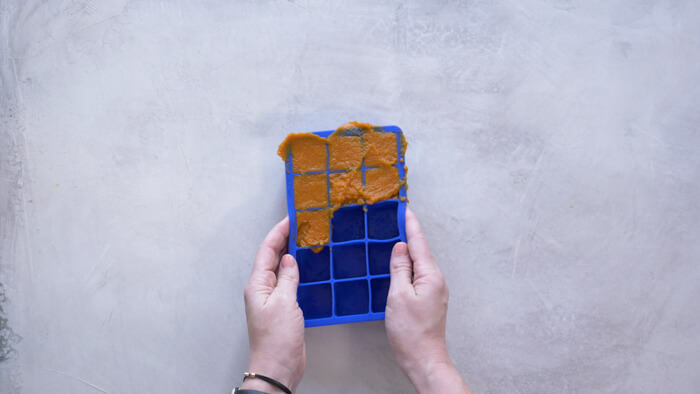 Not only is canned pumpkin packed with nutrients, it also saves you time in the kitchen. 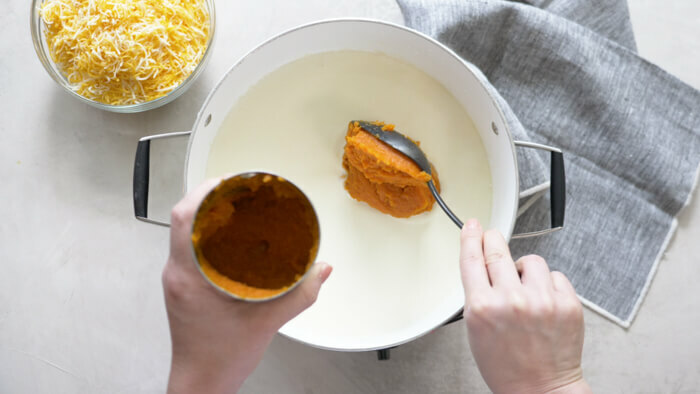 Instead of spending time peeling, dicing, pureeing, and cooking fruits and vegetables for your little ones, canned pumpkin takes the stress out of preparing a healthy meal. Keeping your pantry stocked with canned foods helps you get through the week with creative meals you can feel good about serving your family and friends. According to a survey of 1,000 moms with kids in the household, nearly half (49%) are likely to run out of food in their fridge on Thursday or earlier. Sixty-one percent frequently resort to takeout or go out to eat because they don’t have the ingredients on-hand to make dinner. Life is busy enough so I say the easier the better when it comes to eating healthy! 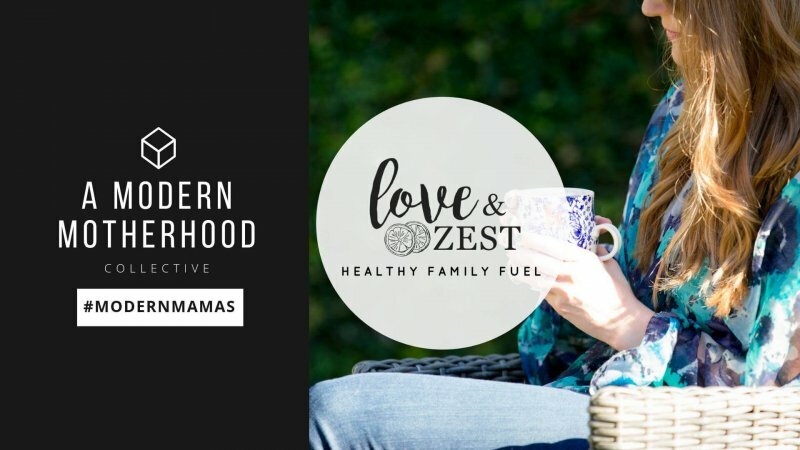 I am always on the hunt for ways to decrease my time spent in the kitchen while still making sure my kiddos are getting as much nutrients through their food as possible. Canned pumpkin is a staple in our house year round which is why I have so many kid friendly canned pumpkin recipes on this site. The fact that I have been able to mix it into my boys’ food is a mom win in my book. 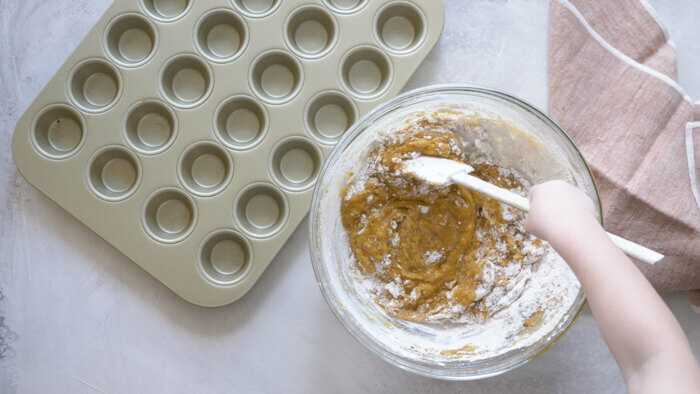 I hope these ideas for Kid Friendly Canned Pumpkin Recipes have been helpful and that you’ll try some of these creative ways to incorporate canned pumpkin into your babe’s food! 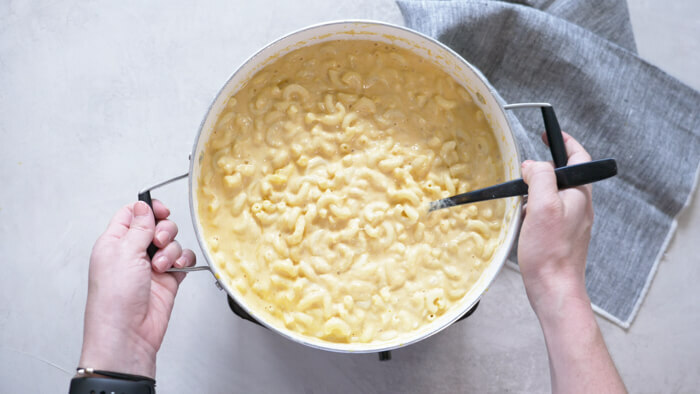 The mac and cheese I need to eat immediately! Great job. The video is adorbs. This is such a great collection of recipes! For kids AND adults. 🙂 I love using canned pumpkin and these creations are so tempting. Some great idea here, love the sound of that quesadilla! 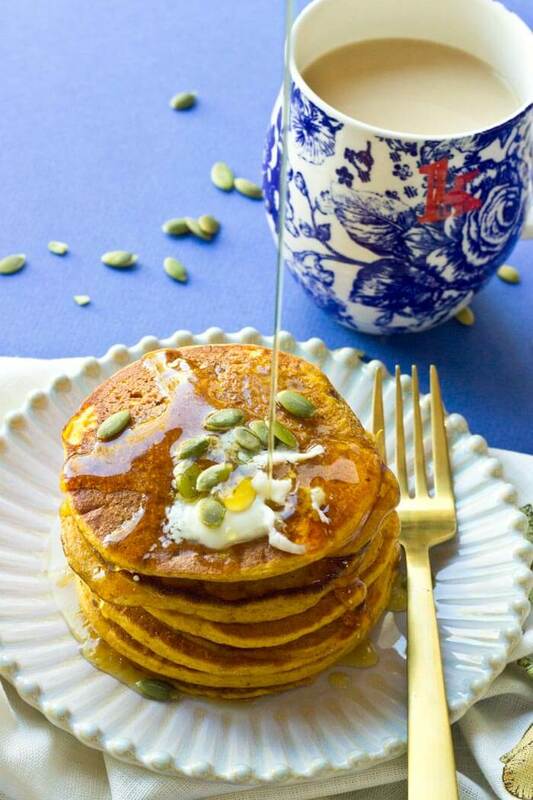 Those pumpkin pancakes look phenom!! Pinning to make this Fall. These are GREAT ideas for sneaking a vegetable into kids’ foods. Healthy, delish – you nailed it. I’m always looking for more ways to add canned pumpkin into my kids meals. Thanks for all the great ideas! So many things to make with pumpkin! Definitely need to include more canned fruits in veggies in our diet, especially during the winter. These are fabulous ideas and I’m a huge canned pumpkin fan!